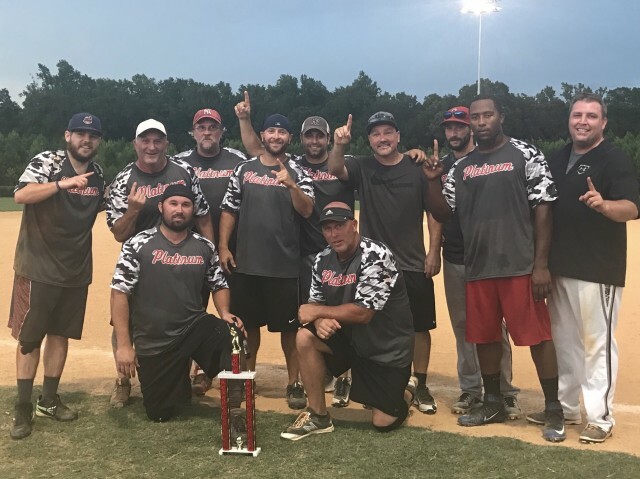 Updated Tuesday June 26, 2018 by Waxhaw Adult Softball. Congratulations to the Platinum Coatings crew for their tournament championship over rival, Hit Squad. Team members include Matt Goodwin, Peter Godshall, Dennis McFadden (Sponsor), Don Kutne, John Ferry (Coach), Jason Goodwin, Jeremy Helms, Miles Cook, Colby Rhodes, Don Edmonds, Rich Nyman, Jeff Rauscher, Gerald Speight, Robert Ruffalo. Nice job, guys!